The University Scholars Program will sponsor five Alternative Spring Break service and learning trips in 2019, all developed and led by Scholars in consultation with the Faculty Fellows program staff. These Alternative Spring Breaks are opportunities for University Scholars to engage meaningfully with partner organizations and communities that are working to address pressing issues. To learn more about the impact and experience of a Scholars Alternative Spring Break, check out the descriptions and videos documenting last year's trips. Then, complete an application! Mojave Desert Land Trust has conserved more than 70,000 acres of prime desert habitat, forever weaving together National Parks, wilderness areas, and wildlife linkage corridors. The organization works closely with a broad range of desert community members and visitors, as well as with local, state, and federal agencies. This trip offers a hands-on learning and volunteer opportunity to understand the important role private conservation organizations play in preserving and sustaining public lands. 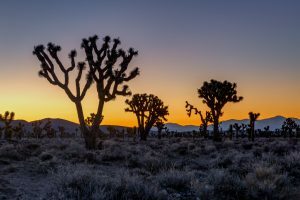 In the context of the recent federal government shutdown, when nearby Joshua Tree National Park has sustained extensive damage from unsupervised visitors, non-governmental organizations like MDLT become even more important to the preservation of these vital lands. The Trump administration recently rolled back protections on two national monuments in Utah, Bears Ears and Grand Staircase Escalante. 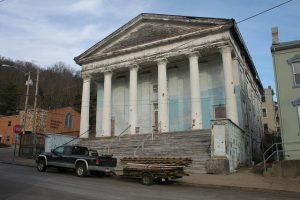 This downsize has the potential to negatively affect the environment and ecology in the area, and some of the land that was cut from the monuments was Native American ancestral land. Friends of Cedar Mesa is a conservation-focused 501(c3) non-profit organization based in Bluff, Utah, that is focused on preserving Bears Ears National Monument and other nearby federal land. 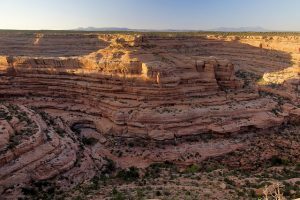 Their stated mission is “to ensure that the public lands in San Juan County, with all their cultural and natural values, are respected and protected.” To fulfill this mission, their work includes advocacy along with volunteer opportunities in trail work, archaeological site stabilization, archaeology recording & monitoring. Our project will focus on archaeological and environmental preservation, learning about the ways the environment and the people who live in it are interwoven and interdependent. Food deserts, urban areas where it is difficult to find fresh and good-quality food, are a widespread issue. Grow Ohio Valley aims to address this issue in its community by organizing community initiatives as well as operating a working farm to educate locals about making healthy and sustainable food choices. 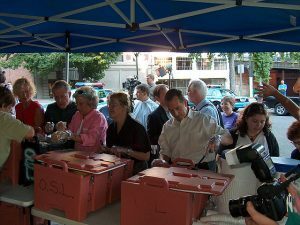 The organization welcomes volunteers in an effort to show them a better understanding of what it means to be food-insecure and some concrete steps that they can take in their lives back home to create a more just foodscape. This trip's projects include learning and hands-on opportunities revolving around food justice – touching on interlinked issues of homelessness, sustainable farming, extractive industry, and eating local – in West Virginia. Activities are weather/season dependent but may include working on the farm, cooking classes, outreach to the homeless community, community art, and learning about local organizations dedicated to sustainable farming and social food justice issues. This Alternative Spring Break trip will focus on queer health and social issues that disproportionately affect the queer population (e.g., AIDS, homelessness). We will combine community engagement and learning with hands-on service work , to gain perspective on challenges facing those living with AIDS as well as a deeper understanding of the politics surrounding AIDS today. Our ASB will have the opportunity to learn about the modern AIDS movement and how it affects LGBTQ individuals in particular. We will also engage in direct service, which might include activities such as packaging and distributing food to individuals affected by AIDS. We plan to incorporate seminars with other organizations, healthcare providers, and policy makers that focus on LGBTQ health and public health issues and initiatives. Through these opportunities, students will not only gain perspective on the modern AIDS movement, but will also understand how intersectionality affects access to healthcare. Our time in San Marcos will give us a first-hand look at the inner workings of the fair trade coffee initiatives in Costa Rica. In general, fair trade coffee is purchased directly from the growers with the purpose being to promote healthier and better working conditions for the collectors and educate farmers on best practices for soil conservation and sustainable harvesting. 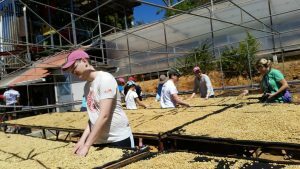 We will get immersed in the coffee culture, visiting several local coffee farms and experiencing all aspects of the growing, harvesting, and milling process. We will work side by side actual workers in all phases of the coffee manufacturing process – out in the fields, taste testing, on the treatment and harvesting lines, and finally, quality control, distribution and marketing. We will visit the largest co-op in the region, Coopetarrazu, and also a smaller micro co-op to decipher the benefits of both. Other potential activities include a local cooking class with community farmers, helping the recycling center, working with local schools on community service projects, or participating in projects with the developments association of Tarrazu. Lastly, we will spend some quality recreation time at one of Costa Rica’s pristine national parks, Manuel Antonio.